I never thought I would be too interested in what women of the past have found fashionable as far as perfumes go. Recently I bought some essential oils to make an imitation of a perfume I wanted to try, and after I like that so much, I became curious about trying other types of perfumes. One from the 1930s intrigued me, and I had a lot of oils to imitate it, but not all of them. I thought I would add them as I bought them, but the result I got the first time was so wonderful that I have kept the formula just as it was. The perfume I had been planning to imitate was called "Fleurs de Rocaille," and since this one so reminded me of my grandmother, I decided to name it "Fleurs de Belle," as Belle was her middle name. After my grandmother died, I inherited an empty Shalimar bottle of hers. I loathed the smell at the time. Interesting how one's perceptions of scents can change! When I smelled it again a few weeks ago, I thought it was quite nice. I made another perfume inspired by that, as well. It has been very interesting to research what fragrances were once popular; they were more floral-based than what seems fashionable today, and more "oriental," with their sandalwood or amber base notes. So now when I go out dressed in a vintage style, I can smell like a classy vintage lady, too! 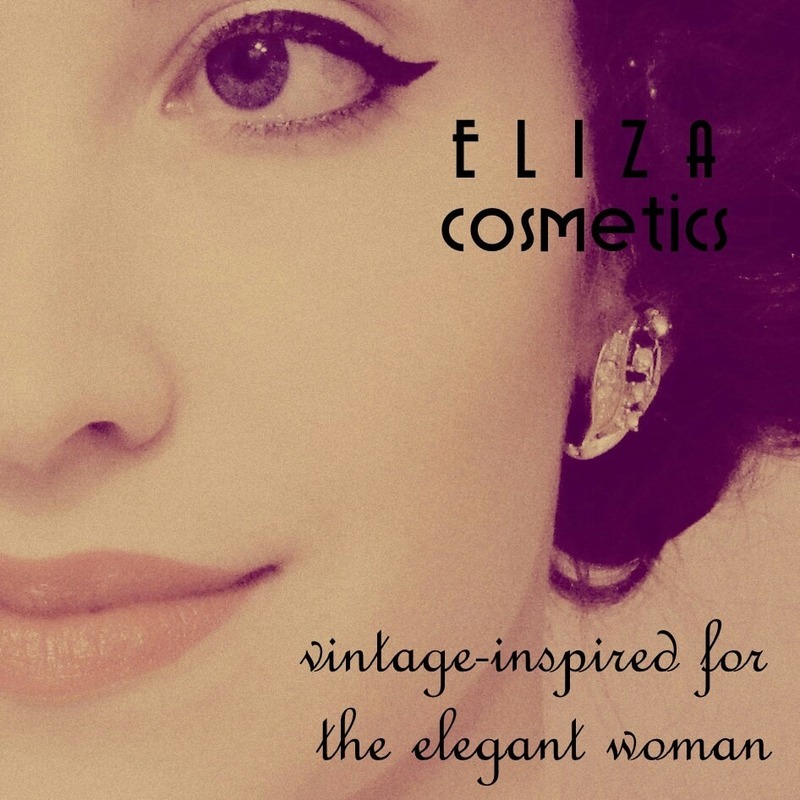 If you are interested in my fragrances, my "business" is called "ELIZA Fragrances." Visit on facebook or email me at eliza.fragrances@gmail.com. Perfumer, cosmetics formulator, jewelry maker. My admiration of past eras inspires all of my work! Styles of the 1930s and '40s are my favorite, but overall, 1900-1950s are of my main interest on this blog. Handmade vintage-inspired cosmetics and perfumes! 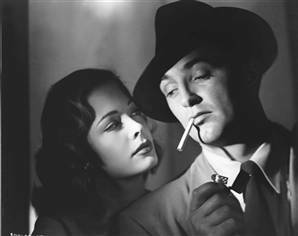 I'm crazy about film noir.